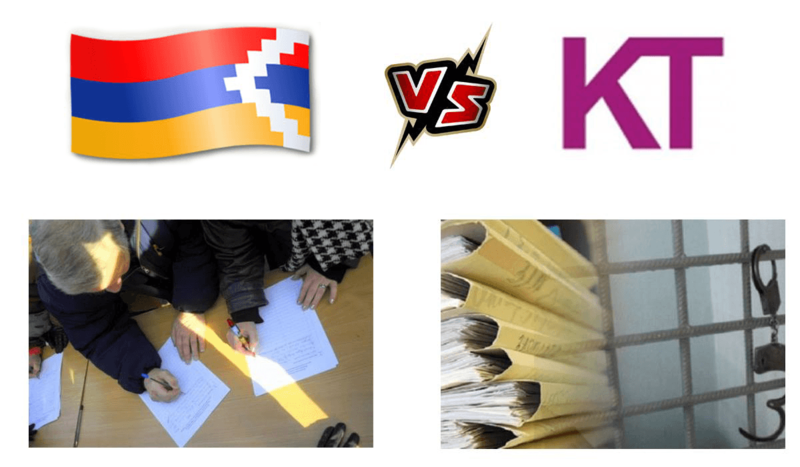 Complaints about the quality of communication are not new for Artsakh people. On October 30, Minister of Foreign Affairs of the Republic of Artsakh (Nagorno Karabakh Republic) Masis Mayilian received the delegation headed by Member of the Belgian Federal Parliament Jean Jacques Flahaux. On October 31, in accordance with the arrangement reached with the authorities of the Republic of Artsakh (Nagorno Karabakh Republic), the OSCE Mission will conduct a planned monitoring of the ceasefire regime on the border of Artsakh and Azerbaijan, on the Akna-Hindarkh road section. From the positions of the Defense Army of the Republic of Artsakh, the monitoring will be conducted by Personal Representative of the OSCE Chairperson-in-Office Ambassador Andrzej Kasprzyk and his Field Assistant Ghenadie Petrica (Moldova). Co-Chairpersons of the OSCE Minsk Group Andrew Schofer (USA) and Stephane Visconti (France), as well as their Assistants David Burnstein and Quentin de Rankourt will also participate in the monitoring. The authorities of the Republic of Artsakh have expressed their readiness to assist in conducting the monitoring and to ensure the security of the OSCE Mission members. On October 22, Declaration of Friendship was signed between Shekher community of the Republic of Artsakh and Arnouville community of the French Republic. The Declaration was signed by head of the Shekher community Mkhitar Mangasaryan and Mayor of Arnouville Pascal Doll. On October 21, a Declaration of Friendship was signed between Shushi town of the Republic of Artsakh and Saint-Etienne town of France. The signing ceremony took place in the Town Hall of Shushi. On October 12, Minister of Foreign Affairs of the Republic of Artsakh Masis Mayilian received the Human Rights Defender of the Republic of Armenia Arman Tatoyan. During the meeting, the sides exchanged views on a range of issues related to the human rights protection in Artsakh. They also discussed issues concerning the presentation and protection of Artsakh citizens՛ interests in corresponding international structures and the involvement of the Republic in the international human rights community. On September 13, Minister of Foreign Affairs of the Republic of Artsakh (Nagorno Karabakh Republic) Masis Mayilian received the delegation of the US State of California, comprising California State Senator Anthony Portantino and the Mayor of Glendale Zareh Sinanyan. 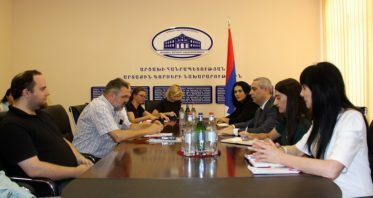 On September 13, Minister of Foreign Affairs of the Republic of Artsakh (Nagorno Karabakh Republic) Masis Mayilian received the delegation headed by Stephan Troebst, the Deputy Director of the Leibniz Institute for the History and Culture of Eastern Europe (GWZO) at the University of Leipzig.